£8 cheaper than shop price! £76 cheaper than shop price! £158 cheaper than shop price! Commando digital subscription lets you read each month’s Commando adventures – that’s four issues a fortnight – on your browser, iPad/iPhone, Kindle and Android device. It’s action and adventure in digital form. How do I access the Commando digital edition? 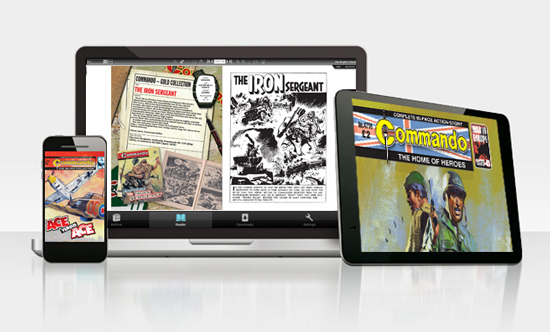 How do I download the Commando digital edition apps? Once you have an online subscription you can choose to read your comics by logging in via your PC and/or the accompanying apps. 1. Locate the App Store icon and tap once. In the search field at the top right, type “Commando Comics”. 5. When the app has installed, the button will say OPEN. Tap this to open the Commando app. 1. In your Kindle Fire home screen, type “Commando Comics” into the search field at the top. 1. Go to the Google Play store. In the search field, type ‘Commando Comics’. 2. From within the search results, tap on the Commando icon followed by the green INSTALL button. 3. An ‘App permissions’ panel will appear, tap the green ‘ACCEPT’ button to start the installation of the Commando app. 4. Now tap on the ‘OPEN’ button to open the Commando app. How much does a subscription to the Commando app cost? The app is free to download, but to access the comics you will need to take out a subscription. A subscription grants access to the digital editions for a period of 1 month, 3months, 6 months or a year. To renew your subscription, go to the digital subscription page. Log into your account and select Purchase Subscription from the left hand menu. Is there a way to access permanent issues without subscribing? We also offer single editions in our browser edition and iPad/iPhone app priced at £1.49 each. These remain permanently accessible in the app unless you choose to delete the editions from your device. How do I manage single editions from my device? 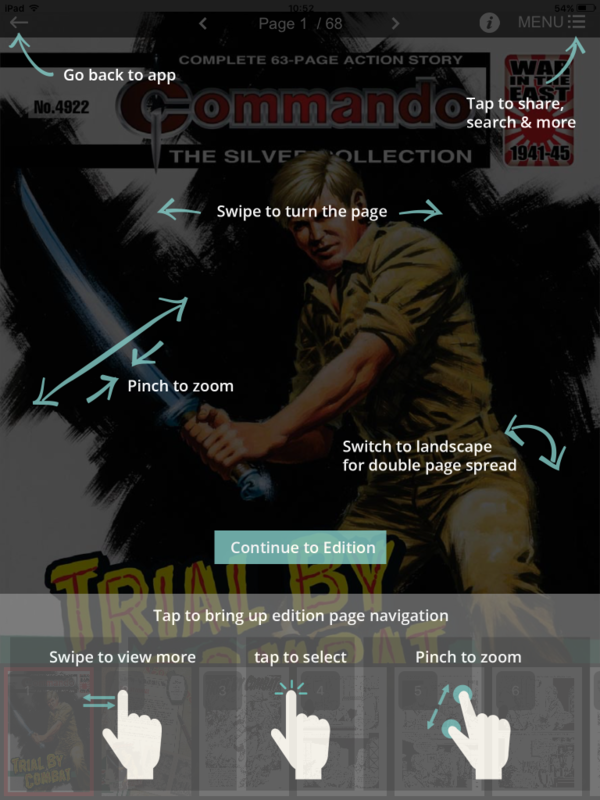 Using the Commando digital edition is easy. The app contains a how-to guide. Is there an alternative way to download the Commando digital edition? You can also download and purchase a subscription for the Commando digital edition solely via the apps.